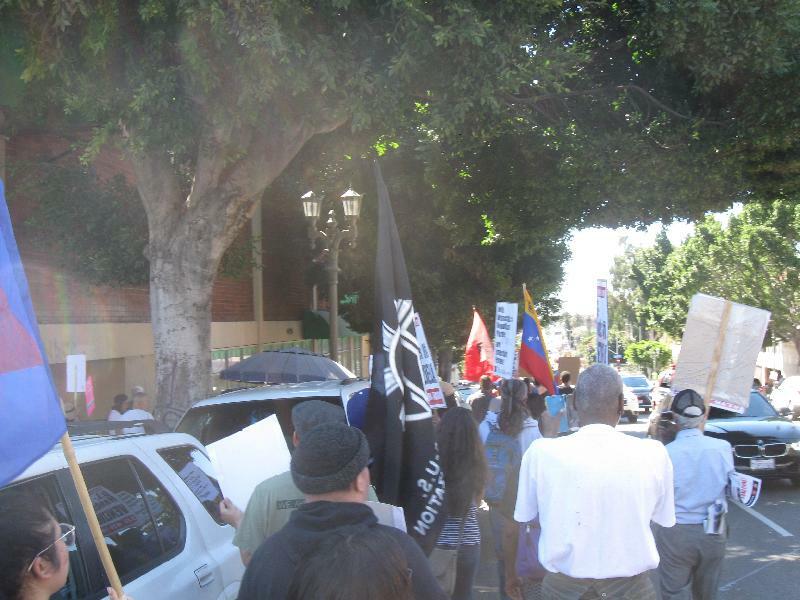 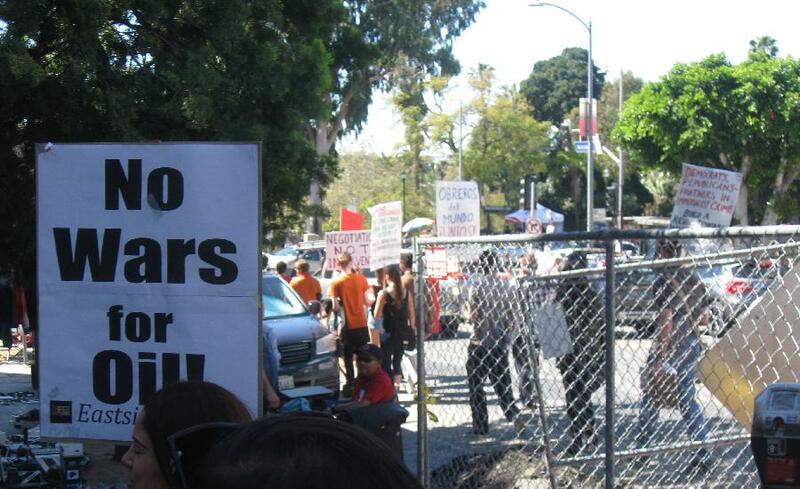 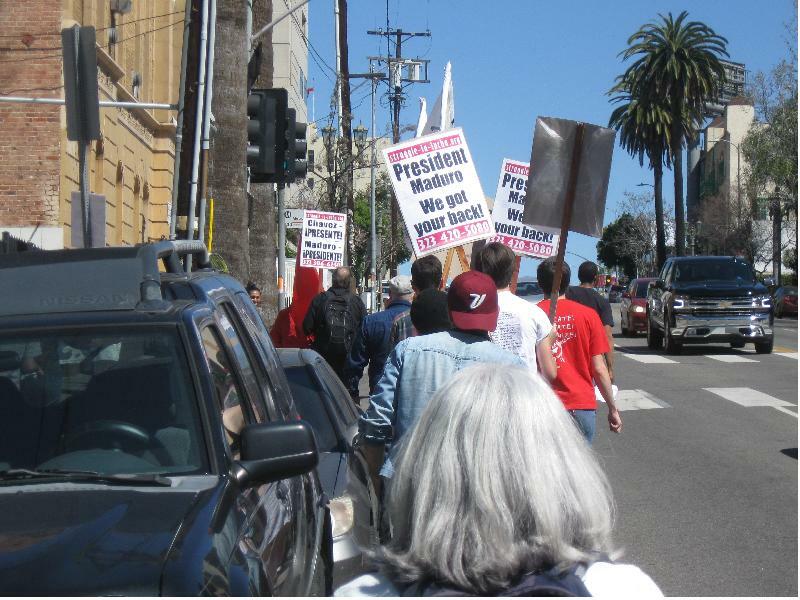 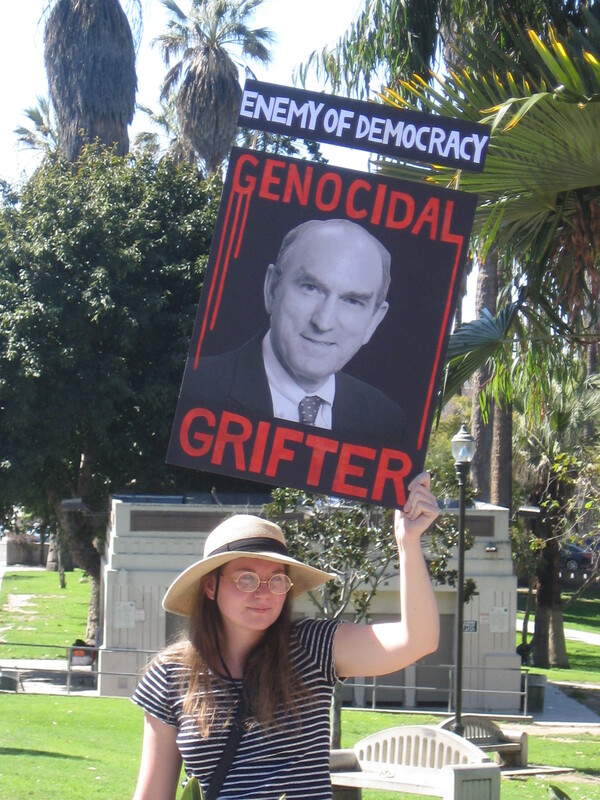 One of two events on March 16 in L.A., this one near MacArthur Park, actually took marchers into a busy street (as pictured below). 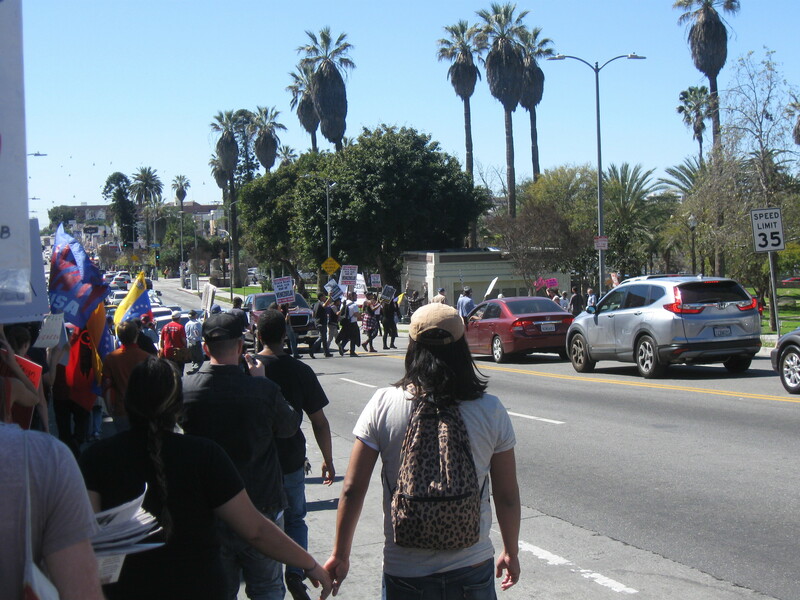 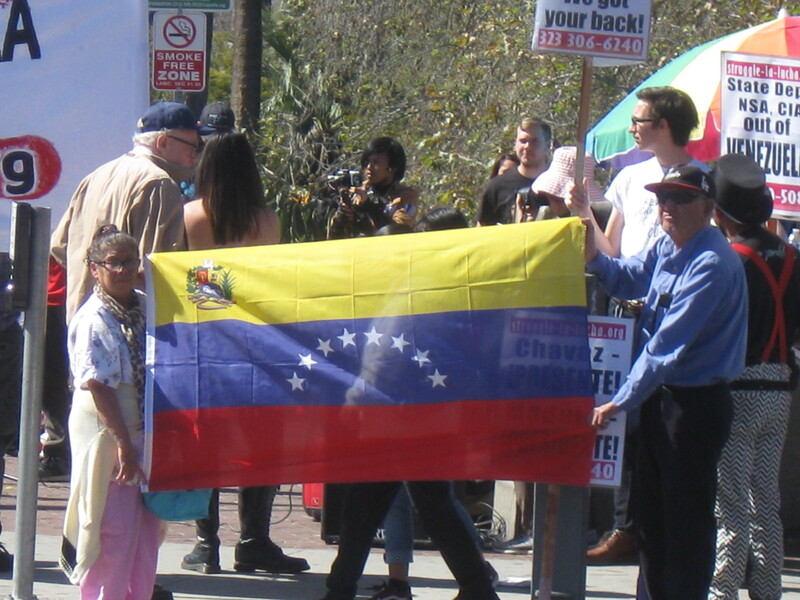 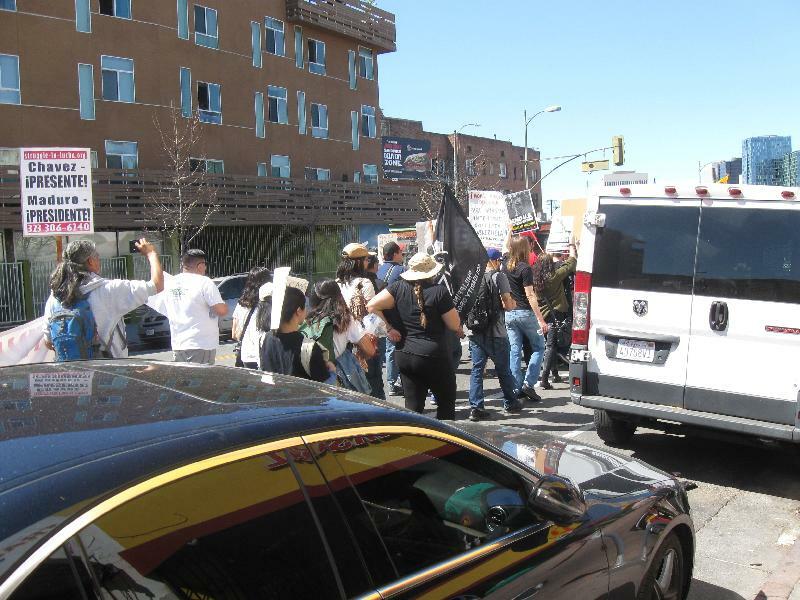 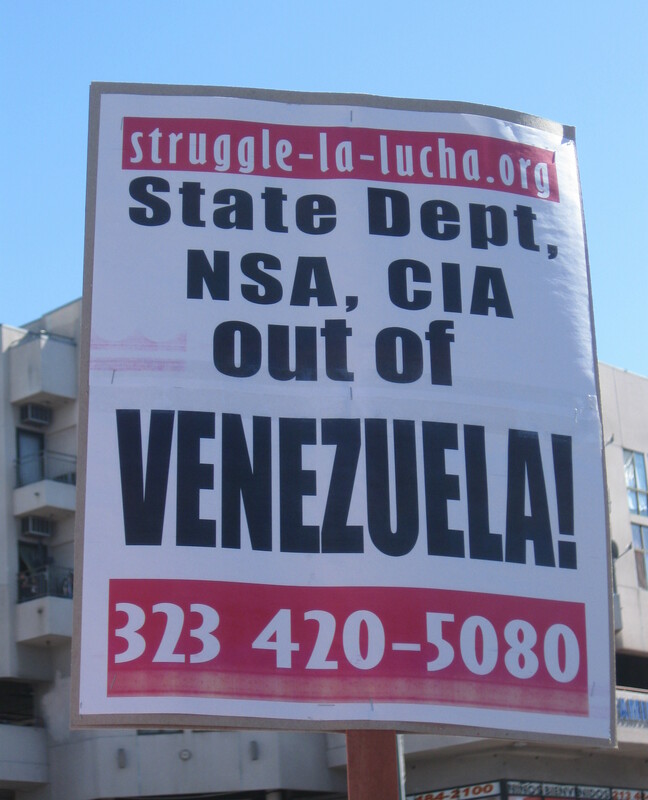 March 16, 2019: As part of a national day of action in support of Venezuela, several dozen protested on the busy corner of Alvarado and 6th with a fair number of motorists expressing support (and a few strongly disagreeing). Flyers explaining the issue were handed out to pedestrians. 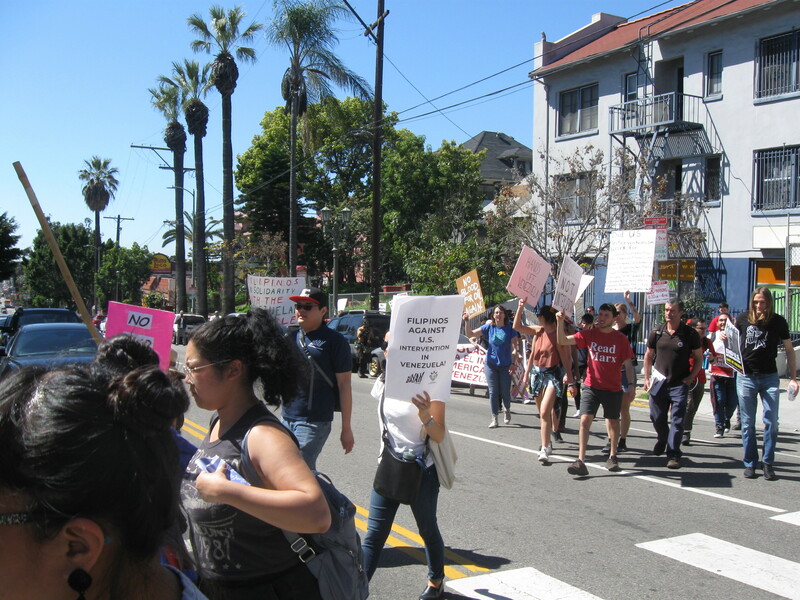 By the time of the march, the crowd had grown to what looked like 50 or more, and many took to the busy street of Alvarado while others remained on the sidewalk. 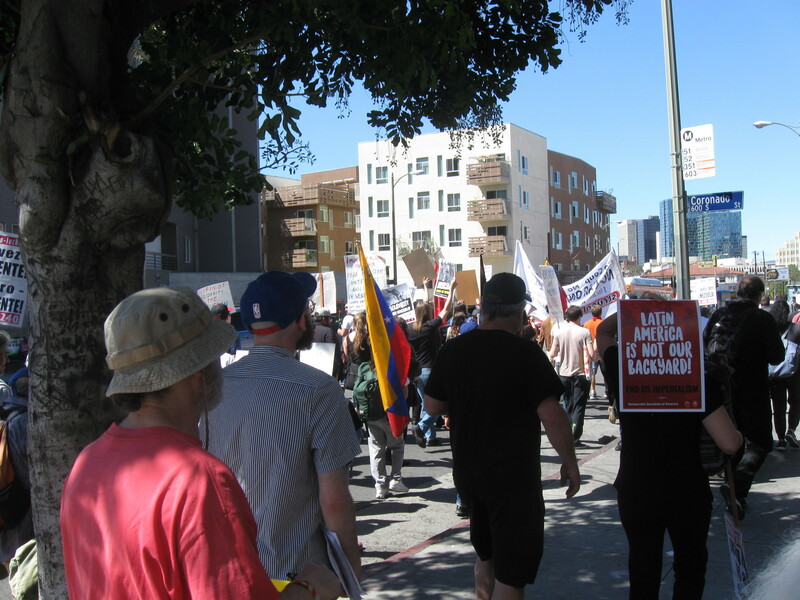 The march went north on Alvarado and then back south before proceeding on 7th toward Rampart. 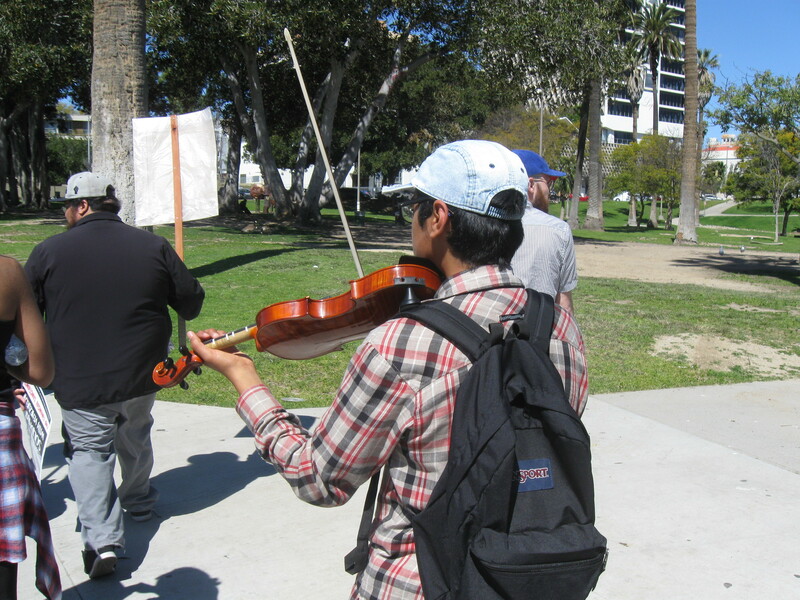 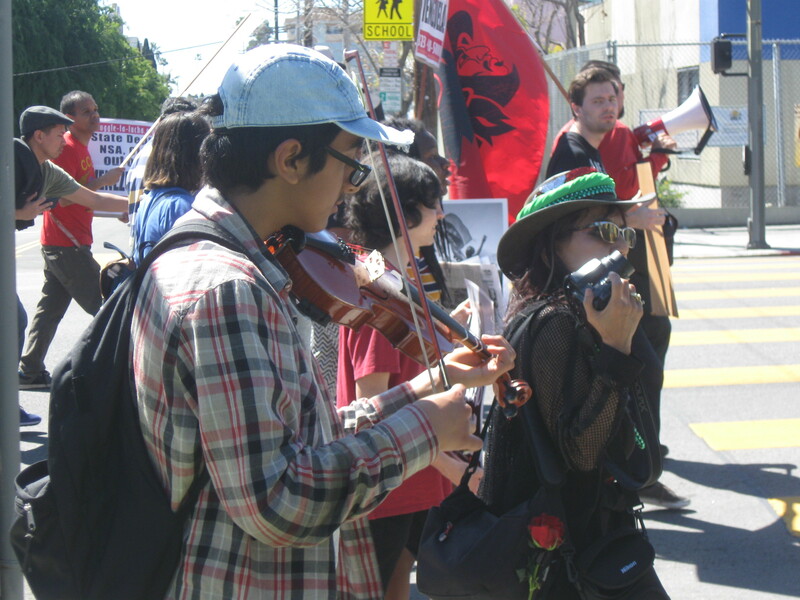 Also unorthodox about the march was a violinist providing music as we continued (pictured below). 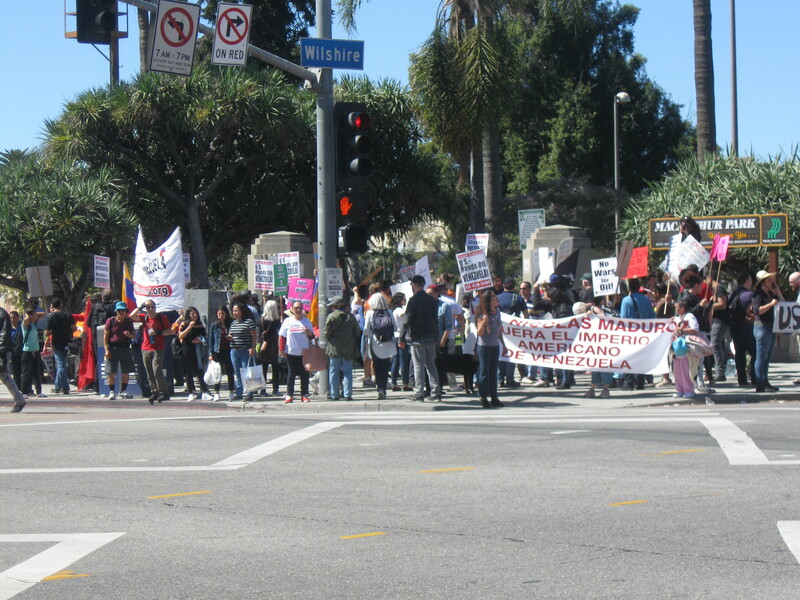 The event was hosted by Struggle – La Lucha for Socialism with involvement of Eastside Greens of Los Angeles County, Codepink, CISPES Los Angeles Chapter, Harriet Tubman Center for Social Justice – L.A., ANTICONQUISTA, FMLN Los Angeles, Welcome/Bienvenida Refugee Caravan, RadioJustice, California For Progress, Al-Awda, The Palestine Right to Return Coalition, Peoples Power Assembly, SOA Watch – L.A., Union del Barrio - Los Angeles, AIM SoCal, Democratic Socialists of America -- Los Angeles, International League of Peoples' Struggle -- ILPS Southern California, and Humanity First Coalition. It was heartening to see support from motorists since so many Americans still have not noticed the patterns of U.S. interventions, including false pretenses and the fact that no U.S. intervention since World War II (maybe a case could be made about the Korean War) has ever done any good. 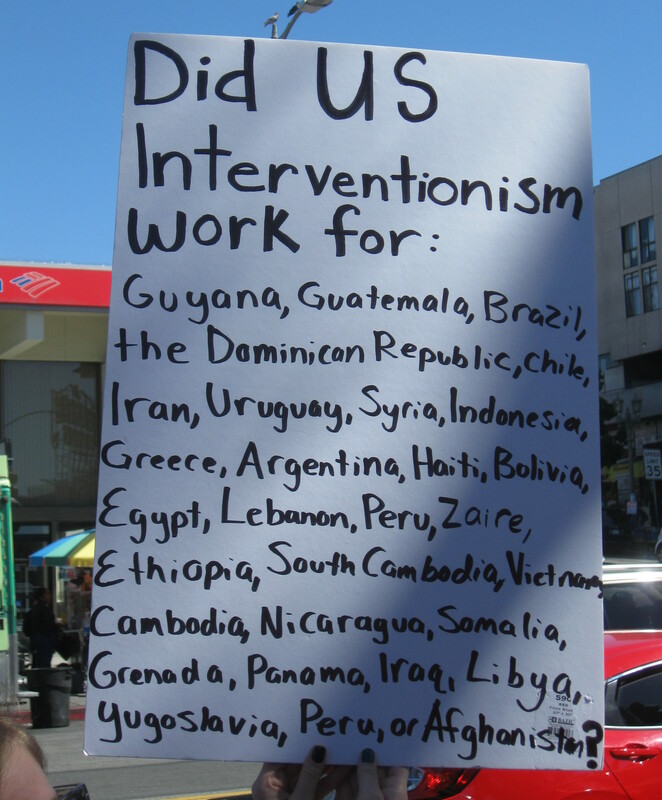 These patterns, so familiar to some of us, were emphasized by various speakers. 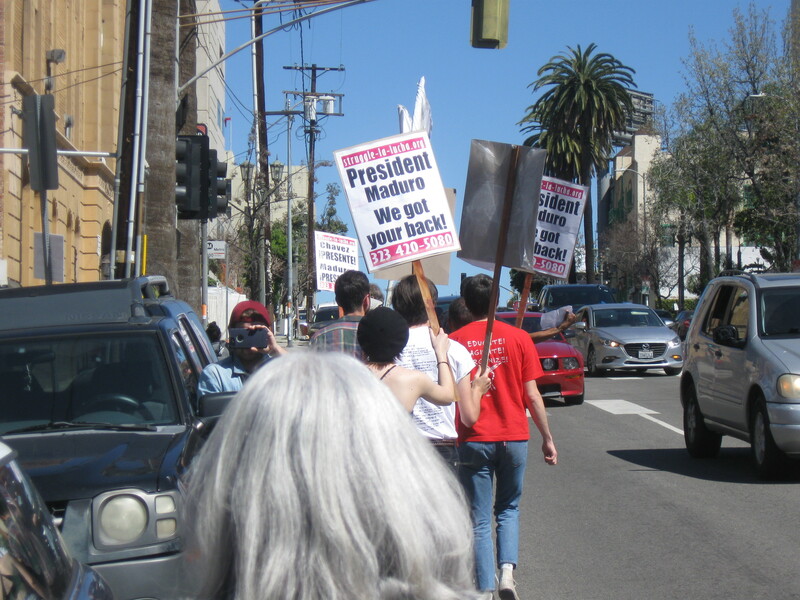 Also mentioned was the contradiction that the “compassionate, caring U.S.” is plagued with homelessness, still has areas where water is undrinkable, and large populations that can’t afford health care or college. 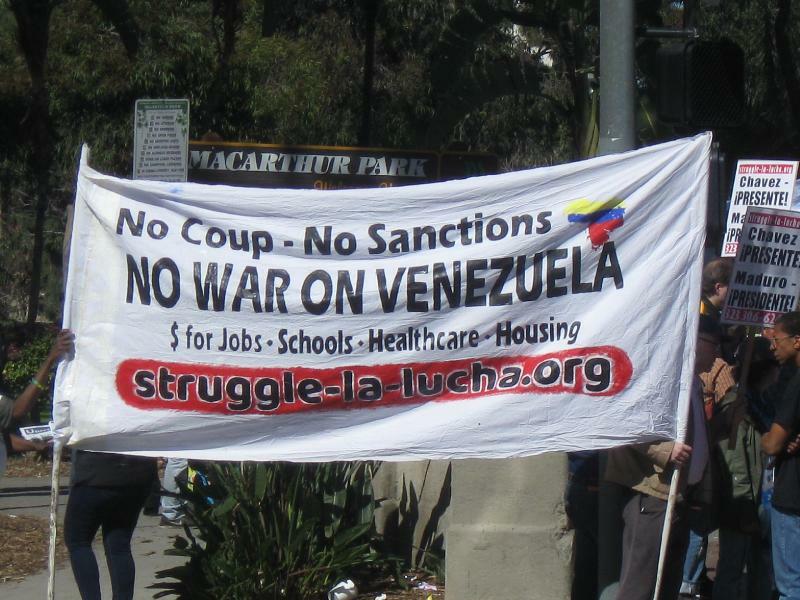 Whereas, Venezuela offered to assist during Hurricane Katrina and has helped Americans who cannot afford fuel for heating in the winter. On the home front, Venezuela has built two million new homes in 10 years. Following the march was the Unity for Socialism & Revolution Conference, which can also be watched here: https://www.facebook.com/strugglelalucha/. 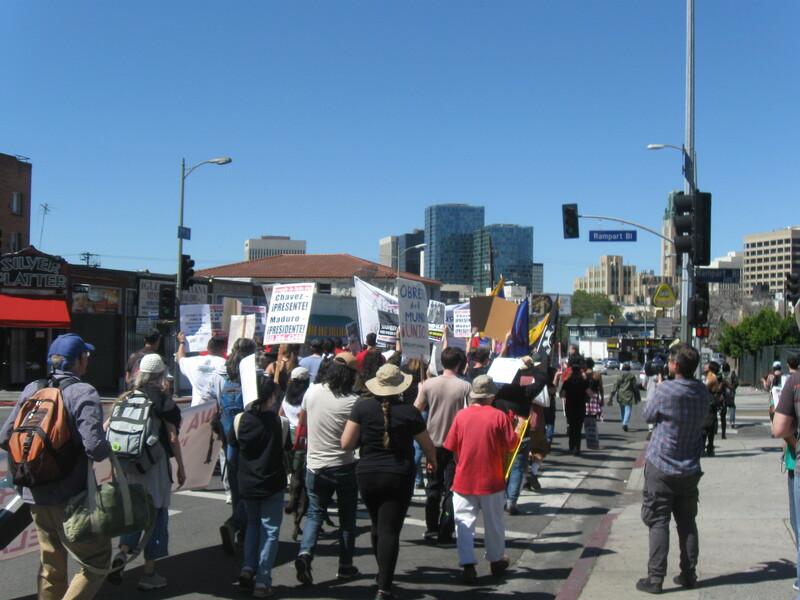 Elsewhere in the country, there was a march on Washington, D.C.